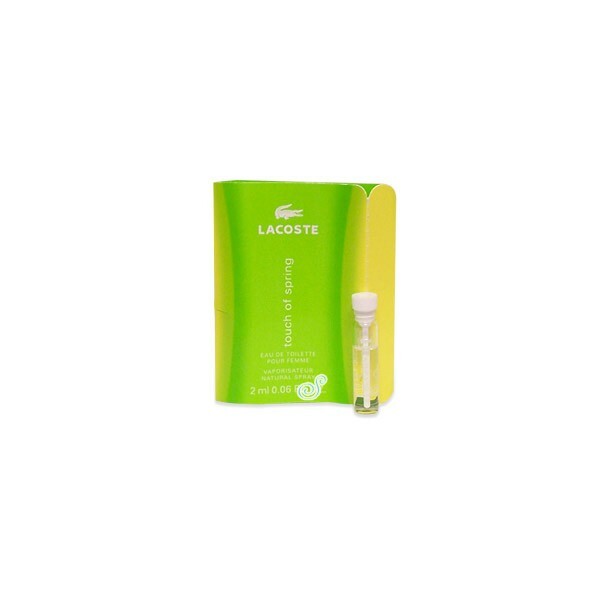 Size 2 ml. Eau De Toilette. 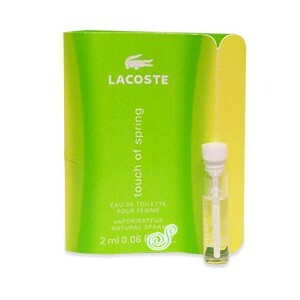 Touch Of Spring Perfume by Lacoste, The fragrance is a playful mixture of aquatic accord, quince blossom, amazon water lilies, osmanthus, hosta, sandalwood and musk. Touch of spring is recommended for day time use.